The Babymel Grace Grey is a new addition to the Babymel range for Autumn/Winter 2015. The unusual curved top shape adds a stylish twist to this sleek and minimal design. 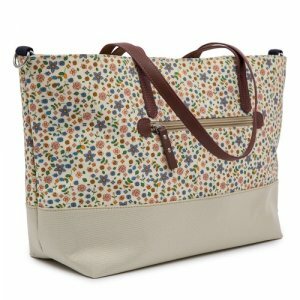 Babymel Grace Changing Bag Tan offers real value for money. 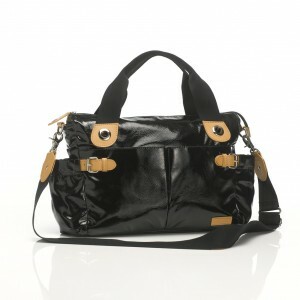 This is a really stylish Bag that doesn’t look like a changing Bag. 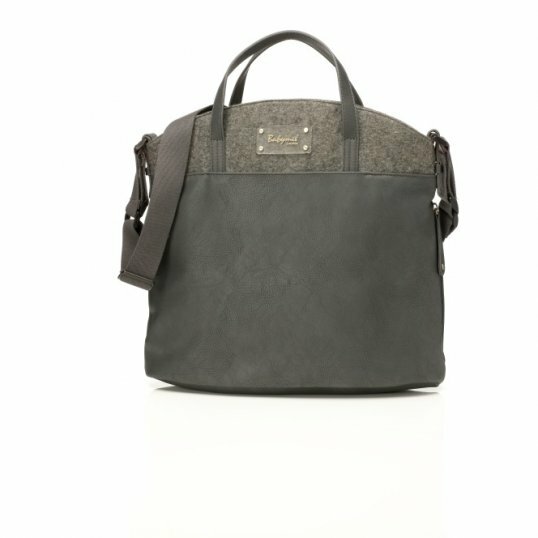 Babymel Grace Changing Bag Tan is the perfect everyday changing bag.It can be carried by grab top handles, or slung over the shoulder to leave you hands free – perfect for a busy day out with your baby. The long strap is detachable and includes Babymel’s integrated patented stroller straps. The Grace is water resistant, with front pocket, heart print lining and side insulated bottle pocket, perfect for keeping your bag clean and organized. Built-in insulated zipped bottle pocket, to keep fluids warm or cool for up to four hours. There was once a little girl called Melanie, who had an even littler brother, Melvin. They lived with their mummy Suzi in a very tall, very narrow terraced house in Camden Town in North London. Their home was a bright shade of sunflower yellow amongst a paintbox of other colours.